The Research Solutions Institute is designed to help all WPI faculty researchers form teams, prepare for funding opportunities, and develop winning proposals as they pursue solutions to society’s most important and pressing challenges. The Office of Sponsored Programs partners with WPI's faculty and staff throughout the life cycle of a sponsored research project. This includes proposal development and review, award negotiation and acceptance as well as guidance throughout the award. Managed by the Office of Sponsored Programs, Research Solutions Institute, Foundation & Corporate Philanthropy, and George C. Gordon Library, this toolkit will help WPI researchers to find and successfully apply for funding to support their research activities. The Office of Technology Commercialization at WPI identifies, evaluates, values, protects, classifies, markets, and licenses the intellectual property developed by WPI researchers and other significant users of WPI resources. As part of the Academic and Research Computing resources, WPI researchers have access to a robust computing infrastructure, fully equipped laboratories and facilities, and up-to-date scientific and engineering software applications as well as knowledgeable staff. 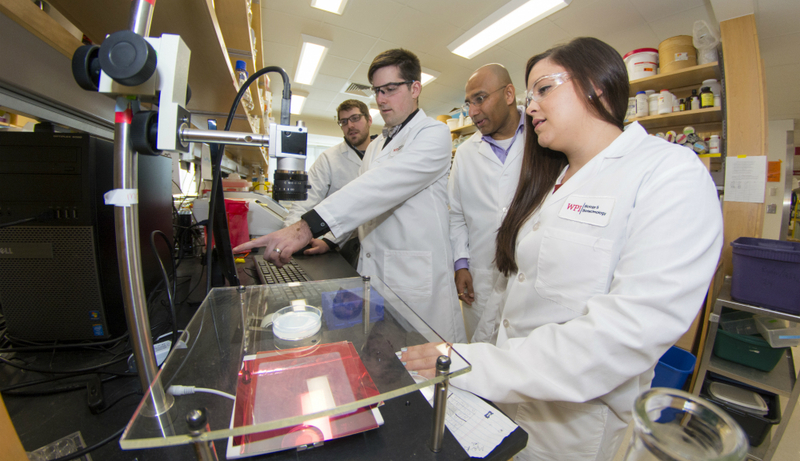 WPI provides an array of resources to help faculty and students conduct research safely and in accordance with established guidelines and regulatory requirements.